So there you are, playing Metal Gear Solid and Burnout Paradise, and suddenly you want to vote for Obama and use Axe deodorant. 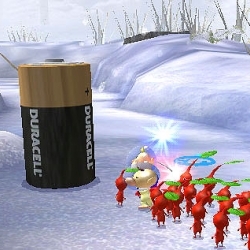 Great product placement, video game advertising is booming. Crimson Collective's inaugural project, ASCENSION, a 45ft. tall crane with a 150ft. 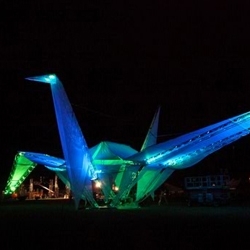 wingspan is an extension of Japanese legend and is a part of this year's Coachella Music and Arts Festival. 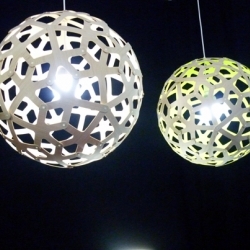 David Trubridge has unveiled a gorgeous set of flatpack LED "Icarus" lamps at Milan Design Week. 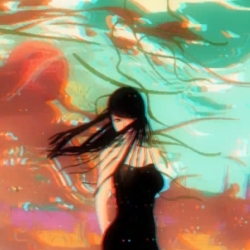 Great 3D stereoscopic clip for the new single "Not Going Home" by Faithless. 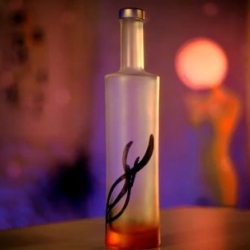 Great stop-motion film created for the design & packaging of Binboa Vodka. 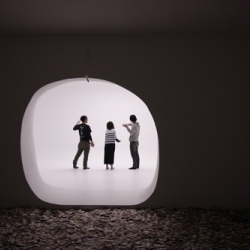 Lucèste / luce (light) + celèste (of sky) installation for Toshiba by Makoto Tanijiri (Suppose Design Office). 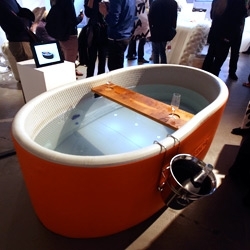 FEATUREDBlofield branches out of the inflatable chesterfield realm... with their bathtub! 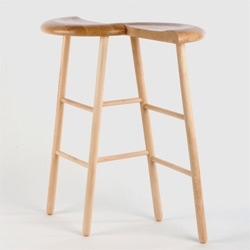 Surprisingly sturdy, complete with champagne bucket and wooden wine glass rack of course. VIDEOCool Viral ad for deoderant (Mennen) showing a kid skating a full pool of water. Featuring music from underground garage punk band The Ton Ups. 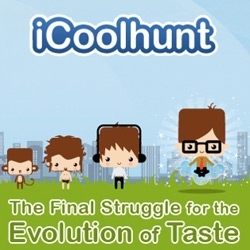 An Italy-based project, iCoolhunt is the first location based social networking game in the intriguing world of coolhunting. Now you can determine what's going to be cool - before anyone else. 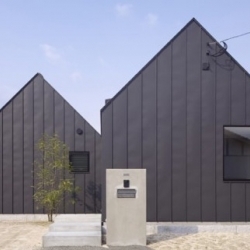 In Asakura, japanese architect Kazuya Matsuda has designed this familial housing. Archetypal and iron cladded villa. 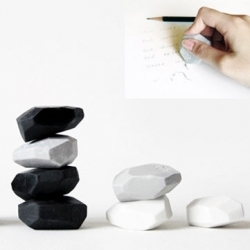 This pebble eraser from Megawing has lots of edges so you can be exact, plus, as you use it, it becomes rounder like a pebble. 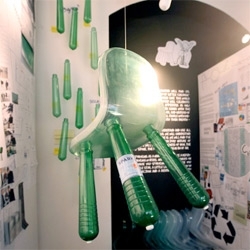 It's even won a Gold at the 2009 Taiwan International Design Competition! 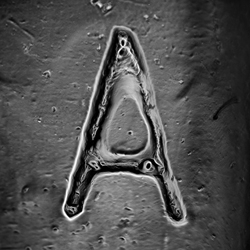 Micro-Type: the cover image for Creative Review's May issue was literally grown in an immunology lab using pollen cells. Incredible work by Frank Conrad. Lab assistant: Bastion Ridley. 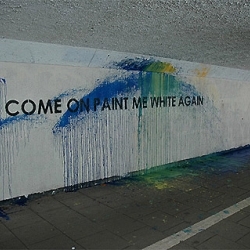 British graffiti artist mobstr. recently had an amusing back-and-forth with the Newcastle City Council, which painted over his stenciled statements directed at them. 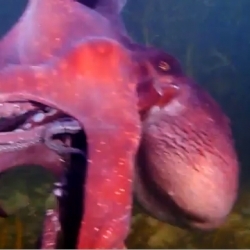 VIDEOWhat happens when an octopus steals your video camera. Captured by Victor Huang (and said octopus) in Wahine Memorial, Wellington, NZ. 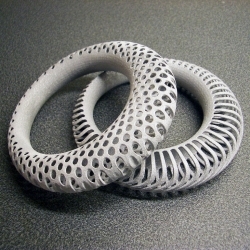 Polyoptic Bangle by Euphy is an organic yet spacy piece 3D printed in Alumide (aluminum polymer composite) by Shapeways. 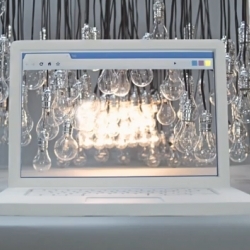 BBH London directs two commercials for Google Chrome, full of dreams and creativity. Great videos, great music. 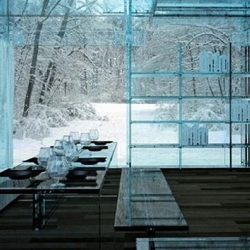 The woodland house by Italian design team Santambrogiomilano, which comes with a set of furniture made entirely from glass. 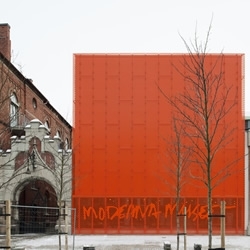 Now, what is it they say about people in glass houses? 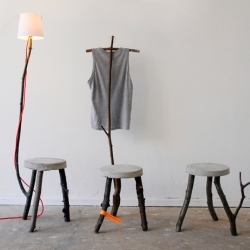 Webuyyourkids is a collaboration between artists Sonny Day and Biddy Maroney. 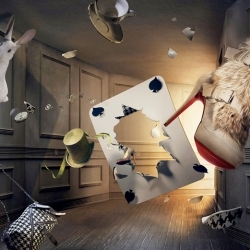 The new collection F/W of Louboutin uses stunning photography by Khuong Nguyen. 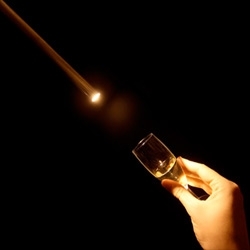 See commissions, then Louboutin's stories! 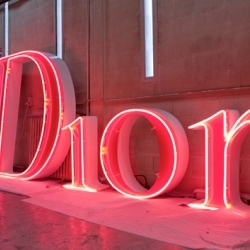 Printemps Haussmann Department Store in Paris is preparing something original and sumptuous for the end of this month. No words yet but beautiful pictures inside the factory in charge of the project. Unique modern villa in Mongolia, China designed by *multiplicities. 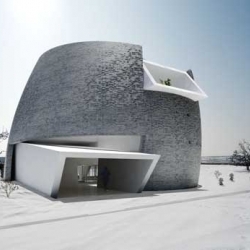 The villa is made of black brick while the building is made of white quartz white plaster. This is SO awesome! 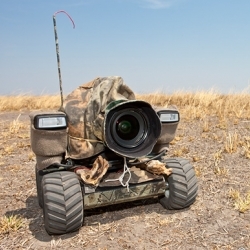 This photographer put a camera and 2 flashes on a camouflaged r/c car and drove it towards wild lions, elephants and buffalo in Africa! Beetle cam from Will and Matt Burrard-Lucas. 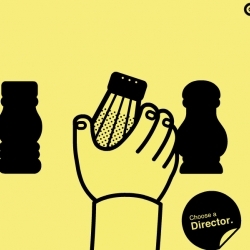 Incredible website and interface by Salt Films! Check it out! 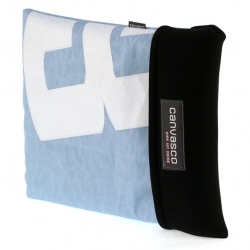 German label Canvasco makes bags out of old sails. Their new laptop sleeve looks gorgeous. 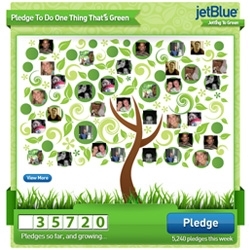 Go green in a stylish way. 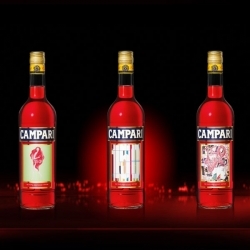 Campari Art Labels, three great label designs for Campari by the artists; AVAF, Tobias Rehberger and Vanessa Beecroft. They are from a limited edition series created to celebrate 150 years of Campari tradition. 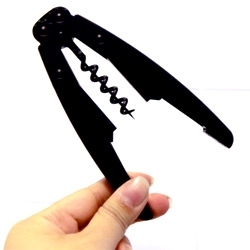 FEATURED“OWL” Wine Opener by Hagino Mitsunobu ~ coated in matte black silicone heat resistant paint and with a big spike down the middle, this is my new favorite wine opener... see the unboxing and closeups! 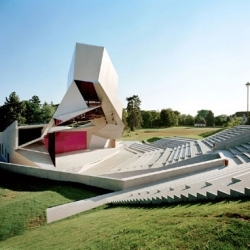 The Cloud Tower is an open-air stage designed by next-ENTERprise architects. Erected from the centuries-old architectural landscape like a giant pavilion, the structure stands in a natural hollow and harmonises perfectly with its surroundings. 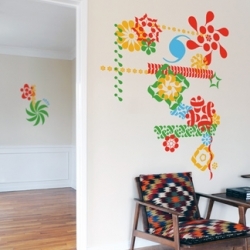 Blik, the innovative maker of self-adhesive surface graphics, is proud to announce a new partnership with 2x4, Inc., an award-winning design firm. The design collaborative created three graphics for Blik. POKETO has launched a new collaboration with environmentally-awesome nonprofit design brand Eco Party Mearry, and I’m loving the result. 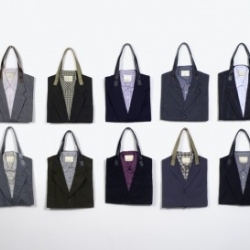 Aren’t these suit totes (recycled from vintage three-piece suits!) amazing? 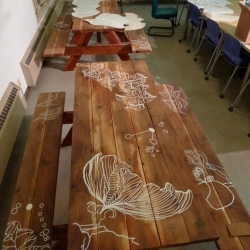 Karyn Fiebich's stenciling design on picnic tables was conceptualized around the environment in which the tables lie and the micro and macro organic components that surround it. 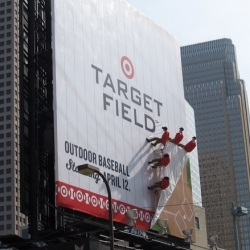 Video displaying the installation of the 3 new ad structures surrounding Target Field, Minnesota's brand new outdoor arena. The ads use 3-D props to draw attention to the space and create a buzz around the Twins new outdoor home. By CBS Outdoor. The German actress Jessica Schwarz opened a tiny hotel in an almost 400 years old house. The hotel "Die Träumerei" (engl. 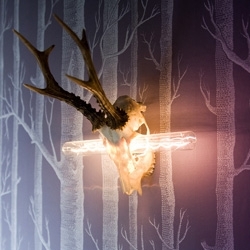 the reverie) has only 4 rooms but each is totally different and shows Jessica's passion for details! Sweet dreams! 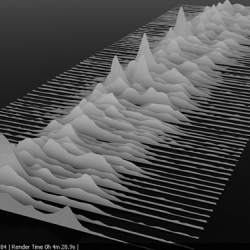 Milos created a 3d image of the legendary 1979 Unknown Pleasure LP Artwork by Joy Division. 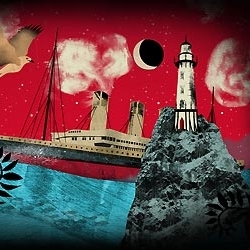 On the original cover are the mountains in 2d - the aesthetic of the cover is still in 3d amazing. 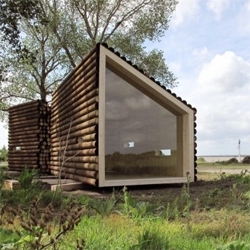 A small cabin in Nantes, designed by french architects OLGGA. 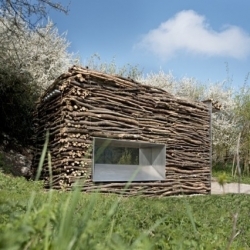 The exterior is cladded with logs, looking like a pile of wood in the middle of the nature. 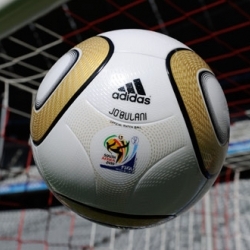 A very first look at the official soccer ball for the soccer worldcup final in South Africa was revealed today! 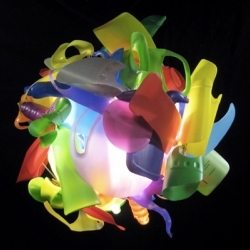 South African designer Heath Nash showcased a colorful, eclectic chandelier made almost entirely from recycled PET bottles at this year’s Milan Design Week. The Tread 1ʼs unique functionality reinvents the watch, extending far beyond the boundaries of traditional watchmaking. 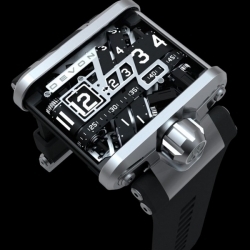 The movement of the Tread 1 is a mesmerizing display of Devonʼs patented interwoven system of time belts. AUTARCHY by studio formafantasma proposes an autonomous way to produce goods, outlining a scenario where a community embraces a serene, self inflicted embargo where nature is personally cultivated, harvested and processed. 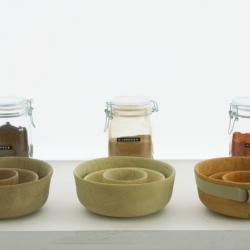 In Lauterhofen Golf, german architects Berschneider + Berschneider design these small wooden and iron toilets. Natural and different. 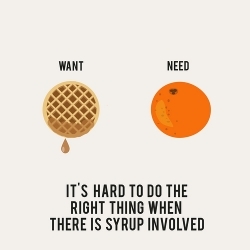 Erin Hanson organized her needs and wants in a series of illustrated posters. Think meditation should be peaceful and relaxing? Ninja please. 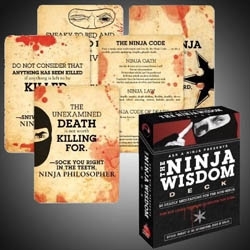 The Ninja Wisdom Deck: 50 Deadly Meditations for the Non-Ninja, everything you need to know about Ninja philosophy by Douglas Sarine and Kent Nichols. 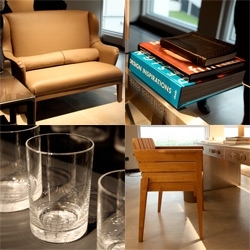 Highlights from Light+Building 2010 - one of the world’s largest tradeshows featuring the most innovative products in architecture & technology.